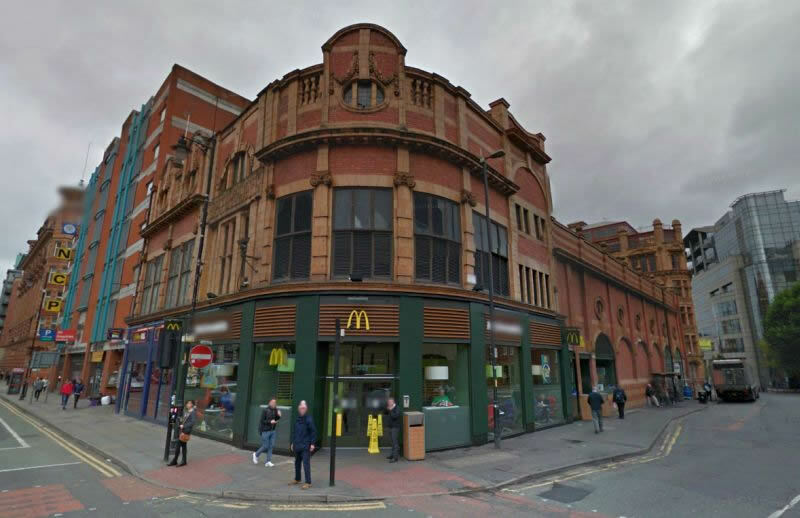 The New Oxford Theatre was constructed on the corner of Oxford Street and Chepstow Street, Manchester and was situated next door to the now demolished Hippodrome Theatre of 1904. The Theatre was designed in the Beaux Arts Style and built for Provincial Cinematograph Theatres, opening as the Oxford Picture House on the 15th of December 1911. The Theatre was renamed The New Oxford Theatre in 1927. In 1929 the Theatre was taken over by Gaumont British Theatres and a few years later it was taken over by the J. F. Emery Circuit who operated it from August 1931 to 1946. In 1953 it was fitted up for Cinemascope. Taken over by the Rank Organisation in June 1960 it began showing all their blockbusters but it finally closed on the 25th of October 1980 with a last screening of the film 'The Long Riders'. The Theatre was subsequently converted into a branch of the MacDonald's Restaurant chain and despite this, in 2015, it still carries The Picture House name on its front elevation. 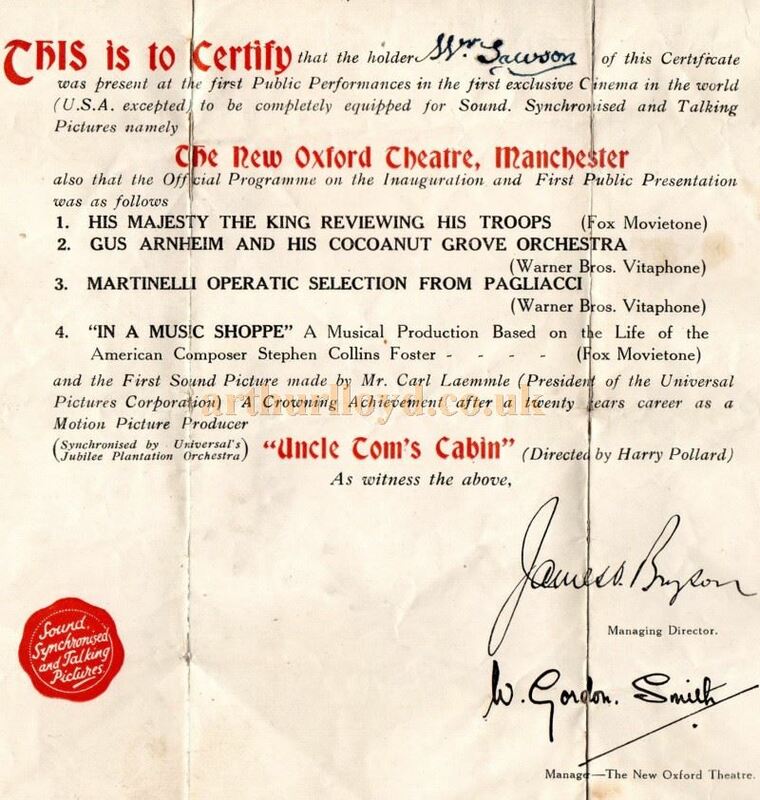 Above - A Certificate stating that the holder, W. Sawson, was present at the first public performance in the first exclusive Cinema in the world, (USA excepted) to be completely equipped for sound. Synchronised and Talking Pictures namely The New Oxford Theatre, Manchester - Courtesy Peter Lawson whose grandfather Billy Lawson was a stage artist in variety shows during the late 1920s and early 1930s.